Cyndi Lauper is set to release her new record Detour on May 6 via Sire Records. The album features her covering country classics from the 40's, 50's and 60's. Check out the video for the first single, "Funnel of Love" a cover of the Wanda Jackson classic below. A tour has been announced in support of the upcoming album. See below for a list of scheduled tour dates. You can pre-order Detour HERE. 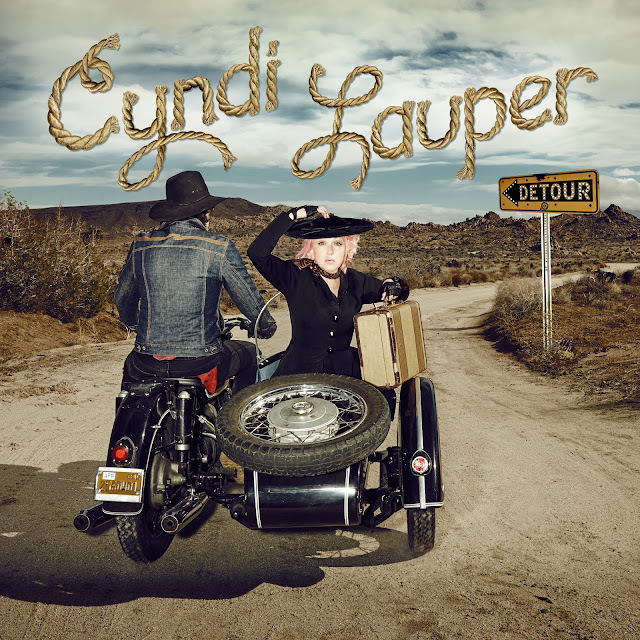 DETOUR features guest appearances from country music stars Vince Gill, Emmylou Harris, Alison Krauss, and Willie Nelson. Lauper recorded the album in Nashville alongside a band comprised of the city’s top session players. May 09 Ryman Auditorium - Nashville, Tenn.
May 11 Palace Theatre - Louisville, Ky.
May 13 Carnegie Music Hall Homestead - Pittsburgh, Pa.
May 14 Michigan Theater - Ann Arbor, Mich.
May 16 Chicago Theatre - Chicago, Ill.
Jun 02 Charleston Music Hall - Charleston, S.C.
Jun 04 Duke Energy Center for the Performing Arts - Raleigh, N.C.
Jun 05 Atlanta Symphony Hall - Atlanta, Ga.
Jun 08 Ruth Eckerd Hall - Clearwater, Fla.
Jun 09 Dr. Phillips Center for the Performing Arts - Orlando, Fla.
Jun 11 Mizner Park Amphitheatre - Boca Raton, Fla.
Jun 12 St. Augustine Amphitheater - St. Augustine, Fla.